robertjprince.net - Rob Ertj Prince. 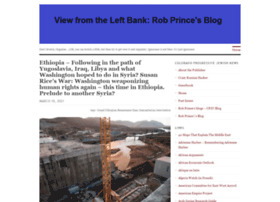 View from the Left Bank: Rob Prince's Blog | Don't Kvetch, Organize…. (OK, you can kvetch a little, but then try to get over it and organize). Don't Waste the Crumbs | Real food on a budget.